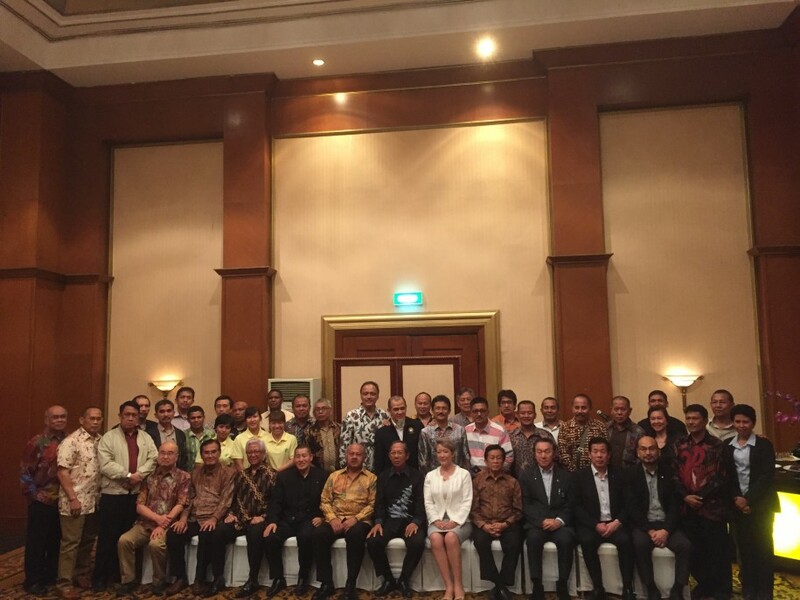 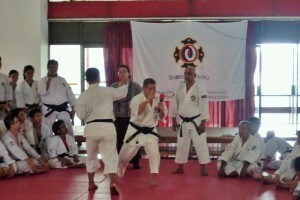 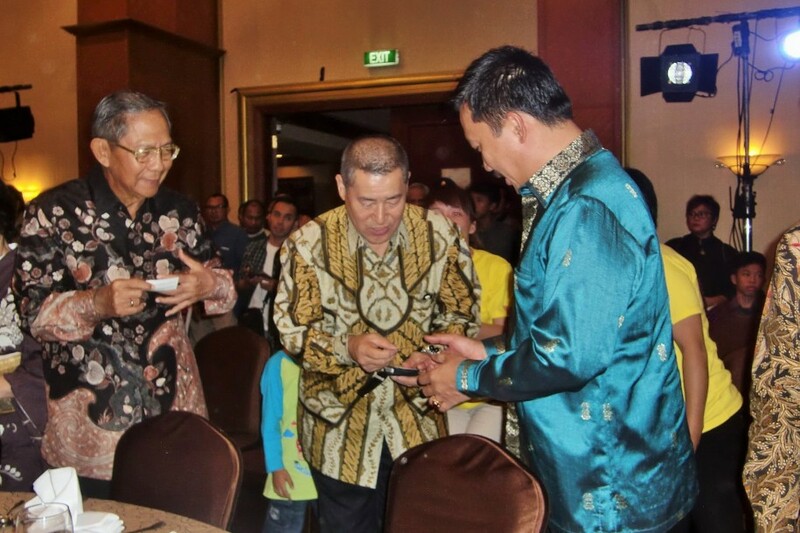 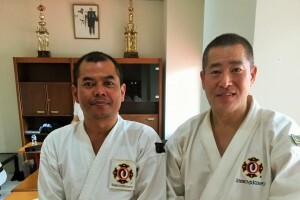 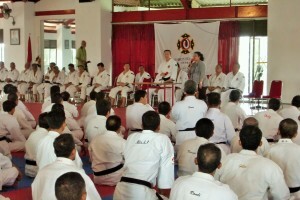 It was a pleasure to celebrate the 50th anniversary of the Indonesian Shorinji Kempo Federation. 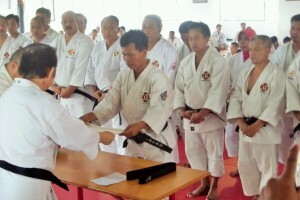 In order to commemorate this special year, Study Session, Special Grading Examination and memorial events were held in Jakarta, Indonesia. 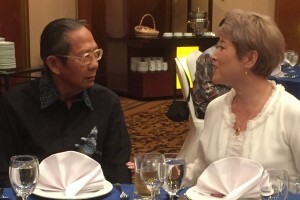 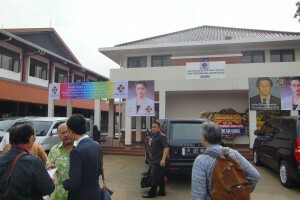 In the reception on the first day we welcomed about 30 people from the Indonesian Federation, including Mr. Ginandjar Kartasasmita, as well as 5 people from Japan, including WSKO President, Ms. Yuuki So, Director Urata, and Secretary-General Kawashima. 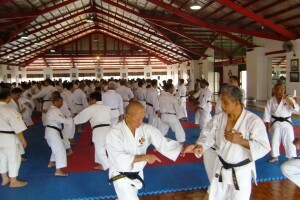 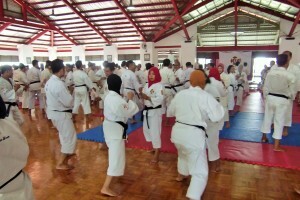 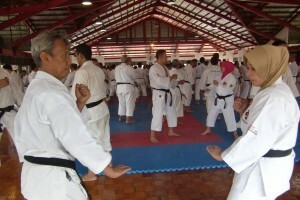 A training camp was held on the second day. 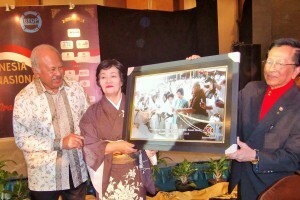 The WSKO President delivered a congratulatory address, conferred a letter of appreciation and presented some mementos. 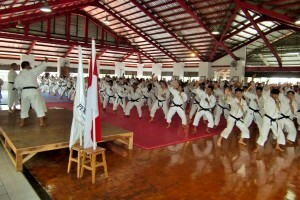 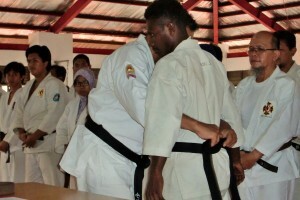 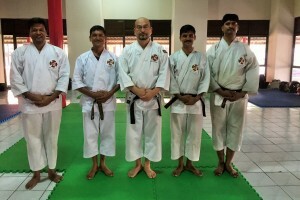 500 kenshi attended the training camp and 100 kenshi took Special Grading Examinations. 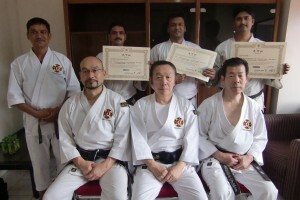 On the last day of the training camp, Secretary-General Kawashima gave instruction to all attendees, and Director Urata gave Dan Certificates. 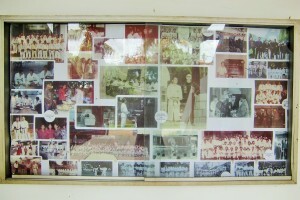 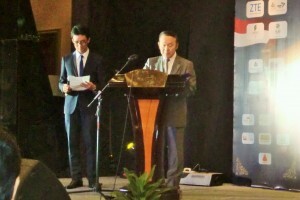 For the 50th anniversary event, about 500 people, as well as the Minister of Youth and Sport, were invited. 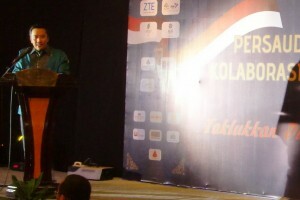 It began with a colorful opening, and then while drums were being played several young kenshi displayed musical instrument performances and conducted Enbu demonstrations.